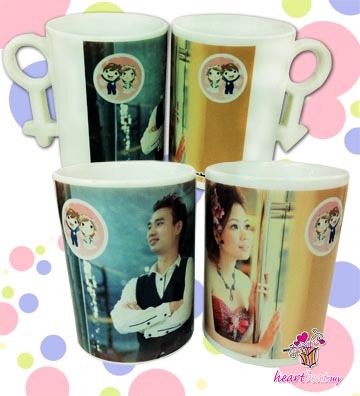 The couple colour mug with the handle design of girl and boy logo is a special mug design for him / her. It is dishwasher and microwave safe. Durable full color printing at high quality ceramic. Pick one couple white mug and template design today, and we will free design with your selected template design & and free photo touching for you. No nice no print. 100% customer satisfaction.